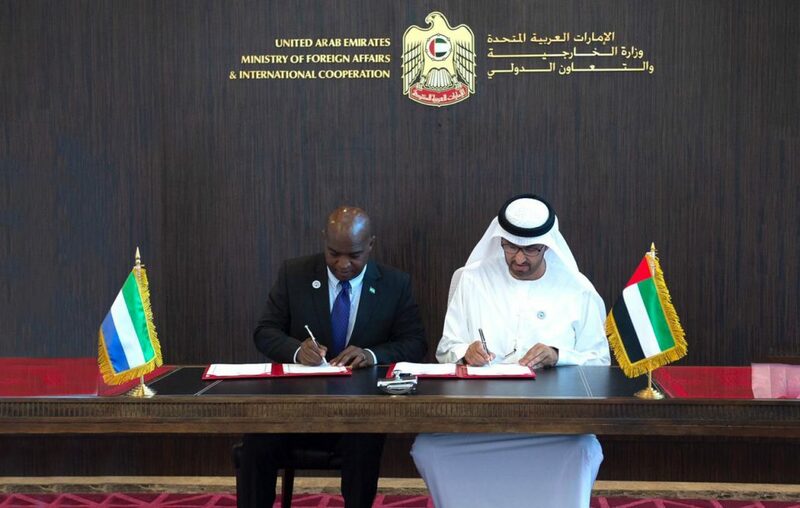 (Abu Dhabi) – The UAE and Sierra Leone today signed a Memorandum of Understanding, MoU, exempting their citizens from pre-entry visa requirement. According to the MoU, UAE passport holders can get a 30-day entry visa upon arrival in Sierra Leone. Dr. Sultan bin Ahmad Sultan Al Jaber, Minister of State, and Alie Kabba, Minister of Foreign Affairs and International Cooperation of Sierra Leone, signed the MoU. Following the signing, Dr. Al Jaber and Kabba discussed the means of strengthening the bilateral relations and overall cooperation between their countries, as well as exchanged ideas on several topics of mutual interest. They also discussed the possibility of creating partnerships in many sectors. “Due to the UAE’s active diplomacy, under the supervision of H.H. Sheikh Abdullah bin Zayed Al Nahyan, Minister of Foreign Affairs and International Cooperation, the MoU signed today with Sierra Leone is a key step in strengthening our relations, which are built on understanding, mutual respect and the desire to develop our relations, reflecting the ambitions of the leadership of both our countries and serving our goals and common interests,” Dr. Al Jaber said. He also highlighted the importance of enhancing the relations between the two countries and building new communication channels while explaining that the MoU will support and develop their bilateral cooperation. Kabba praised the relations between the UAE and Sierra Leone while affirming his country’s desire to develop their relations, which will serve their joint interests. 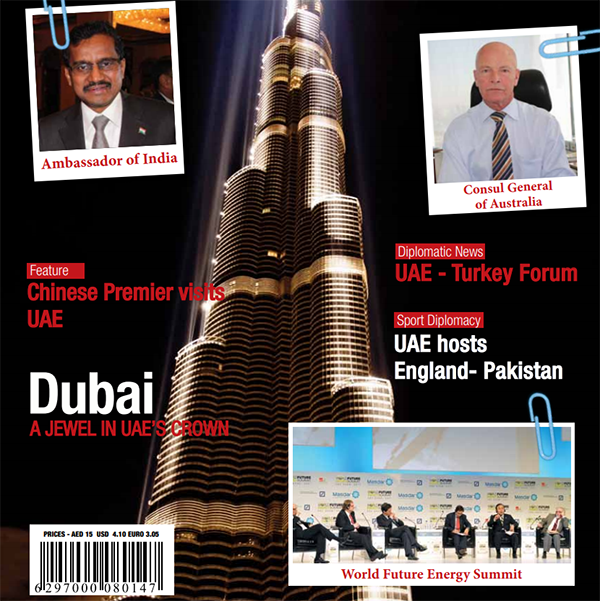 He also valued the UAE’s prestigious regional stature, and the respect and appreciation it has gained internationally. The bilateral relations between the two countries date back to 5th October, 1982.